The Tapestry Women’s Residential is a part of the Meridian Behavior Health Center. It is actually the residential program for women as a part of this special rehabilitation center that focuses on treating women struggling with substance abuse and alcohol abuse issues. Women suffering from sexual abuse and domestic violence are also accepted at the Tapestry Women’s Residential. 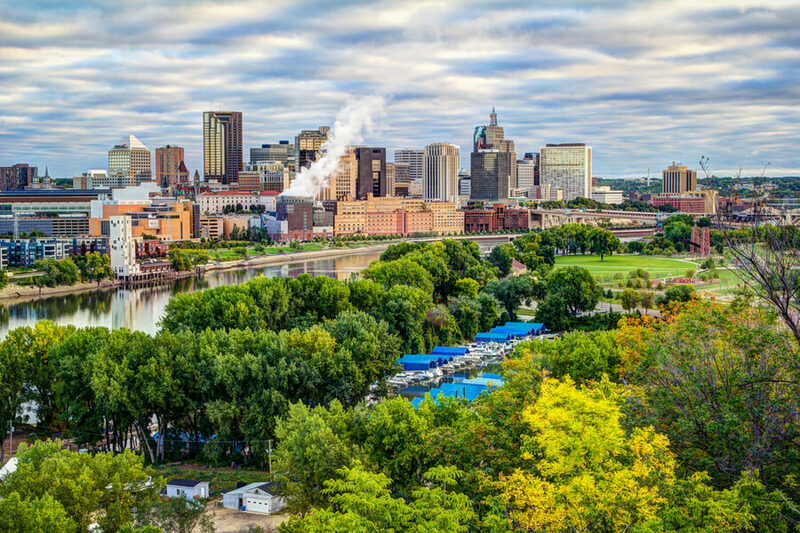 The Tapestry Women’s Residential is located in the middle of sunny Minnesota, in a beautiful, small town known as St. Paul. It was founded back in 2008, and since then it has brought smiles on many patients faces as they have left this rehabilitation center healthy and happy for the progress and change that they have achieved with the help of the staff at the Tapestry Women’s Residential. To achieve the goal of helping its patients, the Tapestry Women’s Residential uses the 12-step program and principle which has been proven to be quite effective on numerous occasions, and that is the reason why it has been most commonly being used at most rehabilitation centers. One thing that you will not find at most rehabilitation centers is a center which is Methadone friendly such as the Tapestry Women’s Residential is! Tapestry Women’s Residential requires their patients to live on its grounds, as the name suggests, we are talking about a residential program. In order to achieve that, the Tapestry Women’s Residential offers room for 50 patients at a time. The facility is arraigned in the usual dorm-style that is found on most college campuses. The patients are divided into four groups of 12 patients in a total of which each group has a living space and bathroom along with bedrooms which they are supposed to share with each other. Although activities such as watching TV, reading, playing sports and hanging out with each other are encouraged, using mobile phones on the grounds of Tapestry Women’s Residential is highly prohibited. Thanks to the great staff in the kitchen, three delicious meals are prepared each day, which are included in the total price for the residential program. Any dietary restrictions that the patients have been well respected. Residential program – Inpatient or residential program is a program in which the patients are required to eat, sleep, and live within the premises of the Tapestry Women’s Residential. Each patient is required to complete the on-site detoxification process before she is assigned her individual and group therapy sessions. The frequency and duration of both the individual and group therapy sessions are to be determined according to the health condition and requirements of the patient itself. The program is designed individually for each patient. Tapestry Women’s Residential. The inpatient program usually lasts for 30 days. However, it can be extended if the patient requires longer rehabilitation due to the severity of her condition. The good news is that the Tapestry Women’s Residential accepts most insurance plans. Even if the patient, due to any reasons does not have health insurance, she can arrange a meeting with the staff at the Tapestry Women’s Residential and discuss the possibility of getting a grand and arraigning a possible payment plan. The official staff at the Tapestry Women’s Residential will do everything that is in their power to help the ones that need help, and money seems to be the smallest problem of them all – all the patients require is a strong motivation, time and patience to get better. The Meridian Behavior Health Center has been accredited by CARF (Commission on Accreditation of Rehabilitation Facilities). For more information about the accreditations at the Tapestry Women’s Residential, please contact the official staff via email or phone. The Tapestry Women’s Residential focuses on helping women of all ages. The Tapestry Women’s Residential offers special education to pregnant women about how to take better care of their baby during their pregnancy while they are getting treated for substance and/or alcohol abuse. There are special programs for anger management classes – both individual and group therapy sessions. Therapy for women who have suffered from domestic violence and sexual assault is only available on the grounds of the Tapestry Women’s Residential. All of the staff at the Tapestry Women’s Residential is professionally trained and specializes in managing and treating substance and alcohol abuse cases. There are several different LADC (Licensed Alcohol and Drug Counselors), psychologists and Master-level therapists as a part of the professional team available 24/7 on the grounds of the Tapestry Women’s Residential. For more information about the staff, please contact the official staff via email or phone.